Make questions and give answers using pictures. 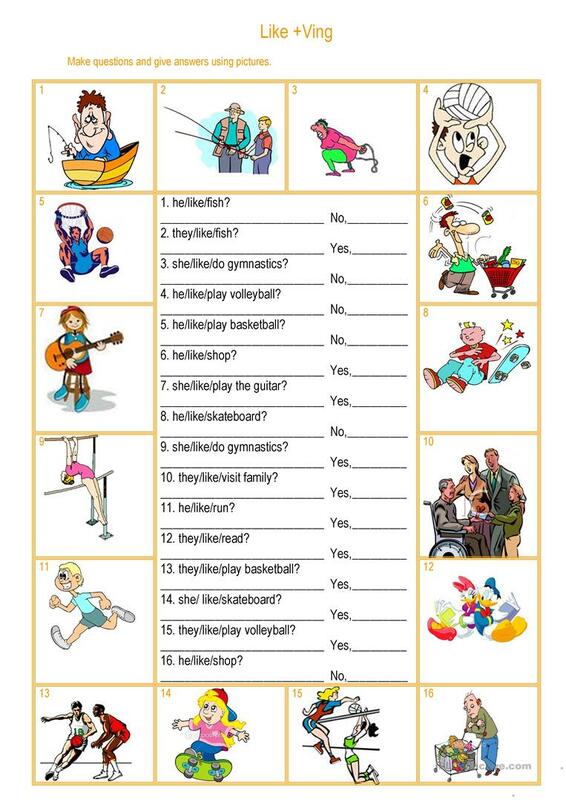 The present printable, downloadable handout is intended for elementary school students and kindergartners and nursery school students at Beginner (pre-A1) and Elementary (A1) level. It is aimed at consolidating Gerunds and Infinitives in English. It features the vocabulary topic of Hobbies.